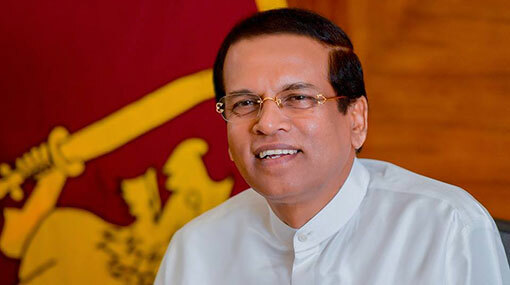 President Maithripala Sirisena says the water issue faced by the people in the North, which is the biggest cause of poverty among them, should be immediately addressed. President Sirisena made these remarks at a meeting held, to review the progress of the proposed water project for the Northern Province, at the President’s office yesterday (12), the President’s Media Division (PMD) said. The President has further pointed out that the main livelihood of those residing in the north is agriculture and people must be provided ample water for agricultural purposes. If this is properly done, it would be a solution for the rest of the development issues, the PMD added. The President has also emphasized the importance of immediately carrying on the proposed project previously commenced by him to channel water, which is flowing uselessly over Ratnapura, Kegalle and Kalutara areas, towards north through tunnels. Without destroying the environment the project that is being carried out will be fruitful for the people of the north to provide immediate benefits, the President has said. According to the PMD, the progress was reviewed of the other projects carried on in the north to eradicate the water shortage and the agricultural issues. The proposed Northern Maha Ela project and the ‘Yapanayata Gangak’ project, which are to be implemented with the funds from the Netherlands in 2020 and the project carried on related to ‘Ellanga’ development systems in Northern and North-central provinces with the aids of Jaica was also discussed and their progress was reviewed, the PMD further said. Reportedly, State Minister of Mahaweli Development and Environment Ajith Mannaperuma, the Secretary to the Ministry Anura Dissanayake and the officers of the ministry had been present in this event.